News of TAC members competing at the Pentathlon GB National Biathlon Championships held this weekend in Solihull. Competitors were invited to compete in the British Championships based on their National Ranking achieved in a variety of County & Regional qualification events. Great News - Hamish Wyatt scored an impressive victory in the U19 Category. A worthy British Age Group Champion, and a really wonderful achievement for this equally talented runner/swimmer! Jade Coatsworth finished in 13th place in a very competitive U14 category, improving on her previous GB ranking of 16th. All the results are now on the Results 2013 page, including the league tables (all young athlete leagues now completed). Senior Men - TAC won both the 4 and 12 to score competitions on the day and now lead both league tables, going into the final fixture, in February. The fact that Cambridge Harriers finished between us and the other league contenders, Medway and Maidstone, also gives TAC a good chance of finishing top, at the end of the season. Robert Von Kaufmann made his club debut. 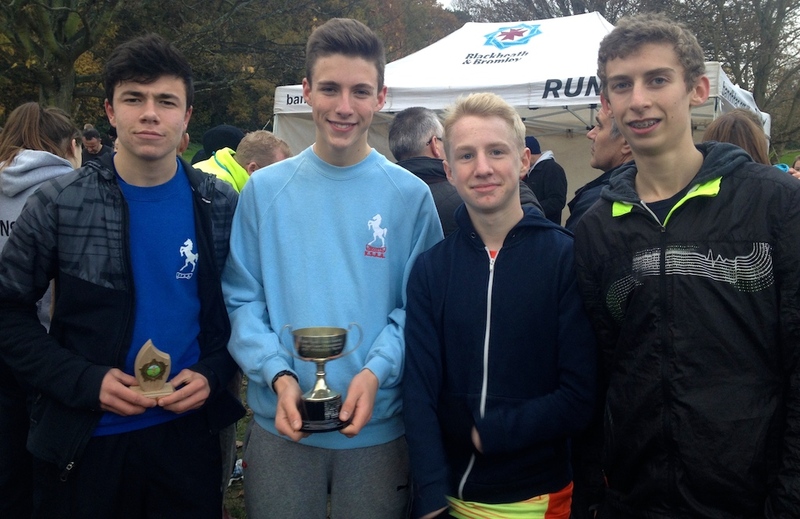 Under 17/20 men - James West (u20) won a very competitive race overall, whilst the TAC under 17 men's team won on the day and also captured the league title. Tim Faes (10th in u17s) had a particularly good run. Chris Cohen placed third overall in the u17 league standings. Under 17/20 women - Ruth Bourne (u20) was the first TAC athlete home, finishing third in the race and also third in the u20 league. Sian Driscoll captured the third placed league prize in the u17 category. Under 15 boys - Alasdair Kinloch and Jamie Goodge repeated their 1-2 positions and did likewise in the individual league placings. TAC captured the team league title. Under 15 girls - In the 24 hours before the race we 'lost' both Alice Ralph (ill) and Genny Allan (netball), but did enough to finish third overall in the league. Under 13 boys - The team placed second on the day and also in the final league standings. James Crombie and Toby Ross had their first ever races for the club. 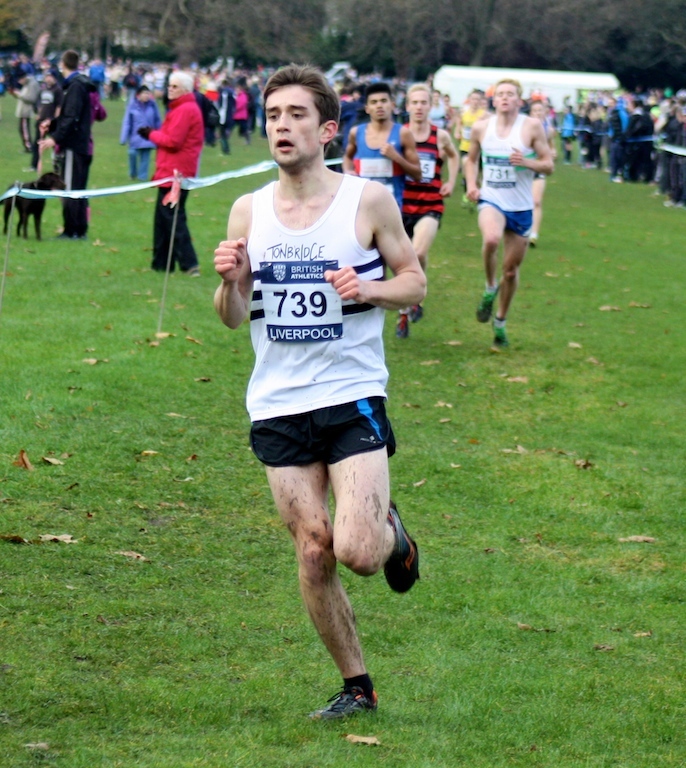 Ewan Wood had one of his best cross country races for the club. 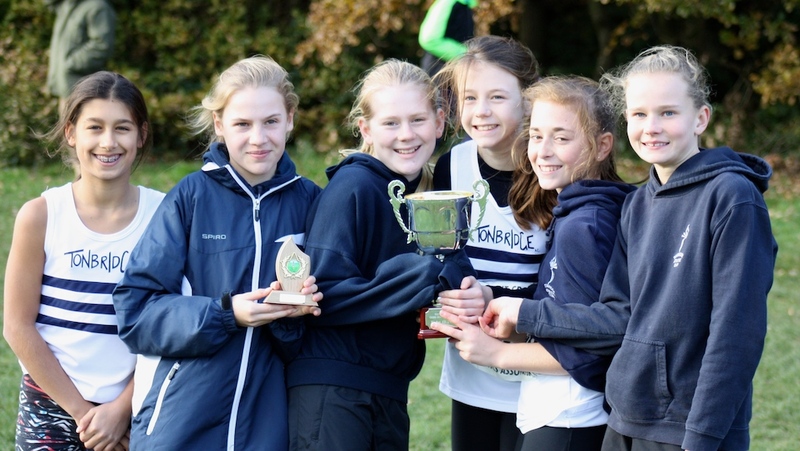 Under 13 girls - Kelsi Cornish (2nd ) bounced back from recent illness to lead the team to a win and also capture the league title. Ellen Crombie and Katie Burgess finished second and third in the final individual league standings. TAC athletes represented Judd, Skinners and Sevenoaks School, at the English Schools Cup Final, at Southend. Full results are at the Results 2013 page. Kathleen Faes won the girls race at the Junior Knole Run, with Vita de Munck in second, Evie Butler (new to TAC) 4th and Ellen Crombie I believe in 5th . Charlie Crick placed 3rd in the boys race, with Dan Schofield close behind and Ollie Plunkett around a top fifteen position. Full results now available on the Results 2013 page. 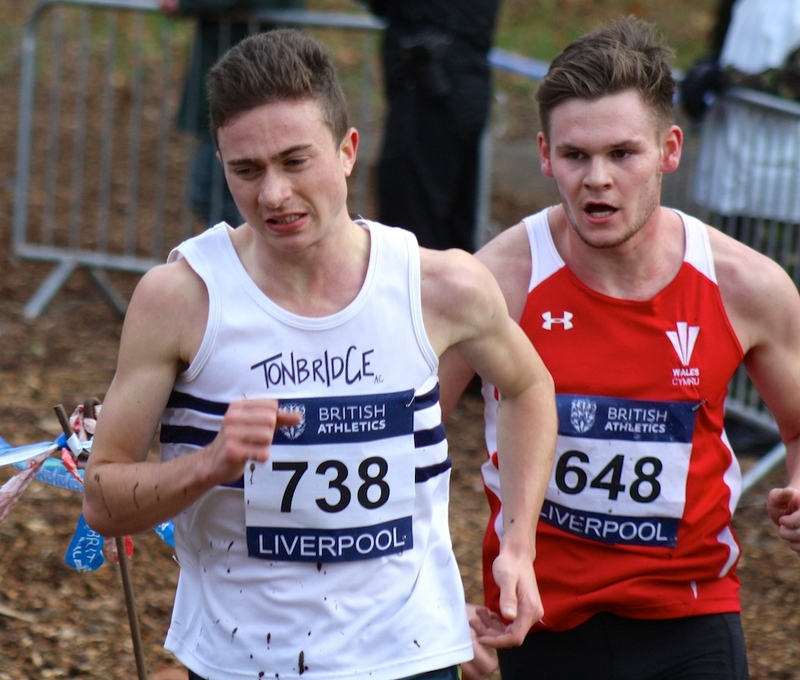 Robbie Farnham-Rose and Dominic Brown have been selected for the England under 20 mens cross country team, that will compete in Brussels on 22nd December. This follows their 10th and 11th places, last Saturday, at the GB trials event at Liverpool. For Dominic it will be his first ever international vest. Videos of races featuring TAC athletes now loaded ! Full results are on the Results 2013 page. This event features the Great Britain trials for the European Championships, to be held in Serbia, at the beginning of December. Senior, under 20 and under 23 teams are selected, although there were races in Liverpool for all the age groups. The races attract just about all the top performers from across the UK, so competition is fierce, especially in trying to make the GB teams. The closest TAC athletes came to making a GB team was in the under 20 men's race with Robbie Farnham-Rose 10th and Dominic Brown 11th, not far away from the crucial top six places. Kathleen Faes was the highest placed TAC runner, as she fought hard to win the under 13 race, before finally having to settle for second. TAC men's team were defending their team title that was won last year. 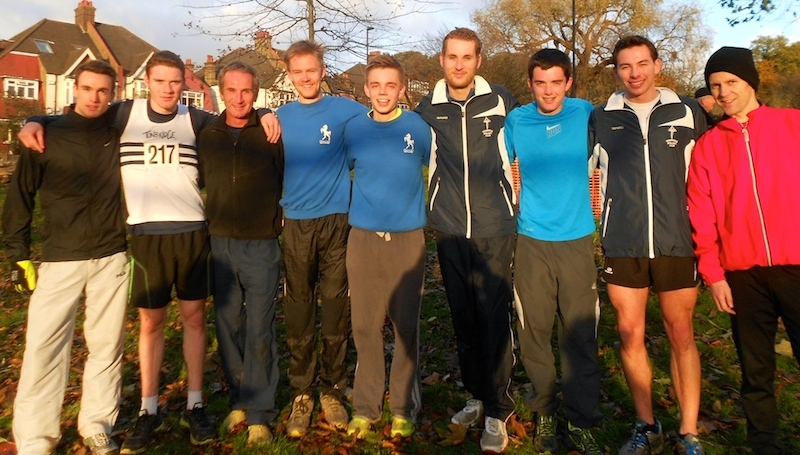 However, this wasnt to be, as Kent AC and Herne Hill pushed us into third place, with 32 teams completed. Ben Cole reduced his pb by 19 seconds to 25.32 as he placed 5th in this road race, near Milton Keynes. Oliver Dunn was first home in the Tonbridge Parkrun with 19.02. See www.parkrun.co.uk for full results. Tom Devlin gives another update from Newcastle University, on the Distance Runners Diaries page. On Saturday, James Thompson and Nicola Wilkinson, both competing for Bristol University, ran the second fastest male and female laps at these relays. Both appear to be training well and in good form. Full results are on the Results 2013 page. On Saturday, second claim TAC member Miranda Heathcote, won the British Masters Home International, in the W40 age group. Miranda was representing the England team. On Sunday, Dan Watt ran a new personal best of 34.20 at the Brighton 10k road race. Dan is in the process of transferring his first claim status to Tonbridge AC, from Tunbridge Wells Harriers. On Sunday the Tonbridge AC Junior (4 to 12 year old) 1 mile race were held at The Schools at Somerhill. Full results are on the Results 2013 page. Saturday training session - times from Saturday's group are on the Training Completed page. Graeme Saker won at Maidstone in 17.18 and Dan Bradley at Tonbridge in 16.43 today. Jack Keywood gives another update from the University of East Anglia, on the Distance Runners Diaries page. Video highlights now loaded ! Four hours of relentless rain, during the course of the event made race conditions tough. Full results are on the Results 2013 page. Quite a few TAC young runners were in action for their schools. Full results are on the results 2013 page. Tom Kendrick won the Inter Boys race from Jess Magorrian and James Puxty, whilst Kelsi cornish was second in the Junior Girls race. There was also a very good run by Phoebe Barker in the Inter Girls race, for 7th. Full results and a summary are available on the Results 2013 page. Vita de Munck, Kelsi Cornish and Kathleen Faes produced only the second set of TAC female medals, at the championships, this century. The girls finished just behind a very strong Herne Hill team, although Kathleen gave it everything on the last leg and ran the fastest lap of the day. The B team all have another year in the age group and were also excellent in 13th. Charlie Crick ran the 7th fastest lap of the day. There was a very solid opening leg from Alice Ralph, whilst Genny Allan and Polly Pitcairn-Knowles both produced their very best performances. The three boys of Jamie Goodge, Tom Kendrick and Alasdair Kinloch swept to a convincing win, although Bedford should not be taken for granted in the championships in the new year. Jamie ran the 5th fastest lap of the day. Sian Driscoll ran a very good opening leg, whilst Ellen Pitcairn-Knowles, who has only recently taken up competing, showed significant improvement. George Duggan anchored the team with his best run of the season so far, whilst the B team was second of that category. It was also pleasing that the C team was first of their category, which shows the strength in depth in this age group. Ben Murphy and Tim Faes, both raced particularly well. Thanks to Chloe Bird for racing, at relatively short notice, to make sure we had a complete team. Chloe then produced her best run for the club so far, whilst Alice Wood once again improved. This was the big surprise of the day for TAC, especially in such a strong age group. Ryan Driscoll and Dom Brown ran the races of their lives to give Robbie Farnham-Rose a chance on the last leg. Robbie, not feeling at his best, took the lead and held off the challenges from other clubs to win. The B team was the first such team home and all this despite a few being in the USA or otherwise missing. Roll on next year, when some of these athletes will be seniors ! The team produced easily the best ever position by a TAC senior mens team at the championships, but the run of the day came from Tom Cox. Tom produced his very best form on the opening leg for the B team to trail Andy Combs by just a few seconds. Although TAC did not have a team in this event, we did have a club member racing. Ashley Gibson, who trains with TAC and is a second claim member, produced a superb run on the opening leg for Morpeth and was the seventh fastest runner of the day. There is plenty of coverage at http://www.athleticos.org including videos, which you may like to see prior to myself getting video etc on this site.